An exhibition on the work of the Belgian poet and artist Christian Dotremont (1922-1979) opens today, 28 October 2011, at the Carl-Henning Pedersen & Else Alfelts Museum in Herning, Denmark. 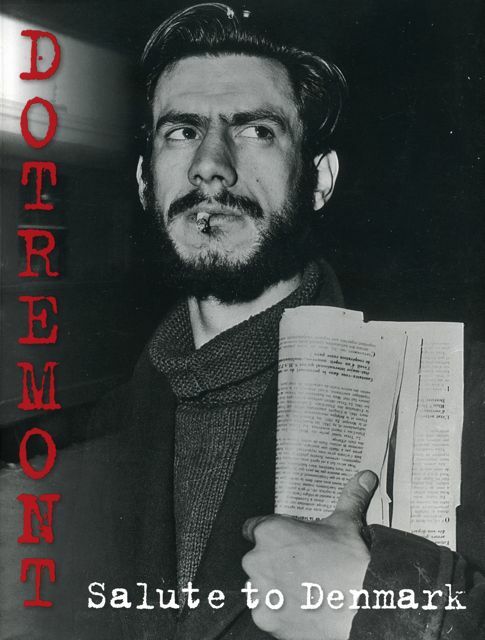 Dotremont, one of the founders of Cobra and the driving force behind the group, was drawn to Denmark from a very young age and visited the country many times during his lifetime. He first went there in 1948 with the Danish painter Asger Jorn, with whom he created the first word-paintings. Dotremont would later create his famous logograms. The exhibition runs until 26 February 2012. The catalogue, pictured below, includes my translations (from French) of the article “Dotremont in the Land of Nja” and of the biography. I also translated titles of his works and other short texts used in the exhibition.